IT looms as the biggest bout in UFC history, but can the fight live up to the hype? The talk and bravado heading into the Jose Aldo vs. Conor McGregor rumble has turned UFC 194 into one of the most-anticipated fights of recent memory. But, is one of the fighters wavering? 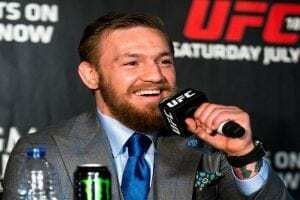 Fox Sports MMA expert and former UFC competitor Chael Sonnen believes Conor McGregor’s confidence is shrinking heading into the biggest bout of his life. “Conor is starting to feather his nest. He’s starting to feather the fall talking about ‘the secret ingredient to success is failure and champions get beat and come back better’. It’s all part of the sport.” Sonnen said. Sonnen was even less kind when discussing McGregor’s opponent, Jose Aldo. Whilst acknowledging he is one of the most dangerous men on the planet, Sonnen said the Brazilian has dodged McGregor in the past and is frightened his unbeaten run may come to an end in Las Vegas. “Jose Aldo, obviously, there’s no debate. In Jon Jones’ absence, I’ve got Jose Aldo as the greatest fighter in the world. After pulling out of UFC 189 citing a rib injury, Sonnen is not convinced Aldo will step foot into the octagon until he sees it with his own eyes. With everything on the line, Sonnen said the pressure of the main event is weighing down on both Aldo and McGregor. 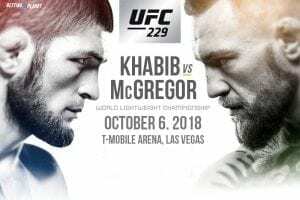 One of the most anticipated match-ups in UFC history has finally arrived after 10 months of recriminations, accusations and mind games. UFC Featherweight champion Jose Aldo and interim champion ‘The Notorious’ Conor McGregor face off in the biggest MMA bout of all-time. The fight, originally slated to happen at UFC 189, was rescheduled for December after Aldo withdrew with a rib injury. 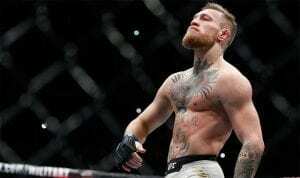 McGregor remained on the card and went on to defeat American Chad Mendes, further hyping the already anticipated fight to astronomical levels. The Irish born Conor McGregor believes the fight will be over quickly. “I just don’t see him answering the bell for the second round.” McGregor said. Sportbet is offering $4.50 for Conor McGregor to win the bout in the first round by way of knockout. Jose Aldo has remained undefeated in the UFC for more than 10 years. He has seen just about everything inside the octagon imaginable – except a striker of the ilk of McGregor. It may not be the first round, but Conor McGregor will eventually overwhelm and overcome the Brazilian Aldo and should end the fight with one of his brutal shots that has knocked out so many fighters that have dared to stand toe-to-toe with him. An area where Aldo can defeat McGregor is on the ground, with the Brazilian’s mat work amongst the best in the division. However, this the gap between the two men on the ground is not as significant as many would have you believe. The criticism of McGregor in the past has been the Irishman’s inability to match jiu-jitsu experts on the mat, but after years of comprehensive, all-inclusive training, his ground game has improved considerably and it can no longer be viewed as an area of exploitation. McGregor has been putting in the hard yards with renowned Brazilian jiu-jitsu expert Gunner Nelson and ironically, Aldo pulling out of UFC 189 may have benefited the Irishman; allowing him to hone his skills even further. Expect Conor McGregor to be crowned as the undisputed UFC featherweight champion by way of knockout. 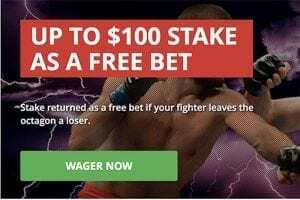 The much anticipated event has gotten Sportsbet excited with a huge promotion on offer for those looking to wager on the record breaking UFC 194. 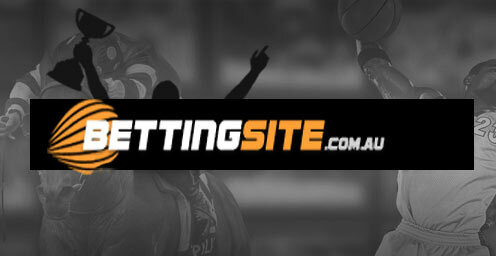 Punters looking to place a match betting four or more leg multi on the card have the opportunity to turn their winnings into a bonus on top of their dividend. The best part is, the more legs you have, the greater your bonus will be if you are successful. For example, a four leg multi will get you a 15% bonus, a five leg multi will get you 20%, while a six or more leg multi will get you an incredible 25% bonus on top of your final dividend. Final dividend must pay $3 or more and the maximum total bonus is $200.